Tired of having the same old cereal for breakfast? Mix things up by making a breakfast parfait. Our breakfast parfait recipe, which makes for two servings, is light and healthy, but it’s also rather flavorful, since it features a tasty combination of Lowfat Vanilla Bean Greek Yogurt and honey. The recipe also calls for wheat cereal and pistachios, so you’ll start the day off right with a nice blend of fiber and protein—it honestly doesn’t get much better than that. You can make this recipe for breakfast, of course, but it also works wonderfully as a snack for later in the day—especially if you’re on a diet. The added honey will help you keep your sweet tooth in check, while the wheat cereal and pistachios will leave you feeling fuller much longer. If you think your friends and family might enjoy our recipe, then do us a favor by sharing it with them on Facebook, Pinterest, Instagram and Twitter. Parfaits are simple to make. You’ll need one cup of Cabot Lowfat Vanilla Bean Greek Yogurt, one tablespoon of finely chopped mint leaves (plus a few springs for an extra garnish), a cup of shredded wheat cereal, a ¼ cup of chopped unsalted pistachios and six teaspoons of honey. 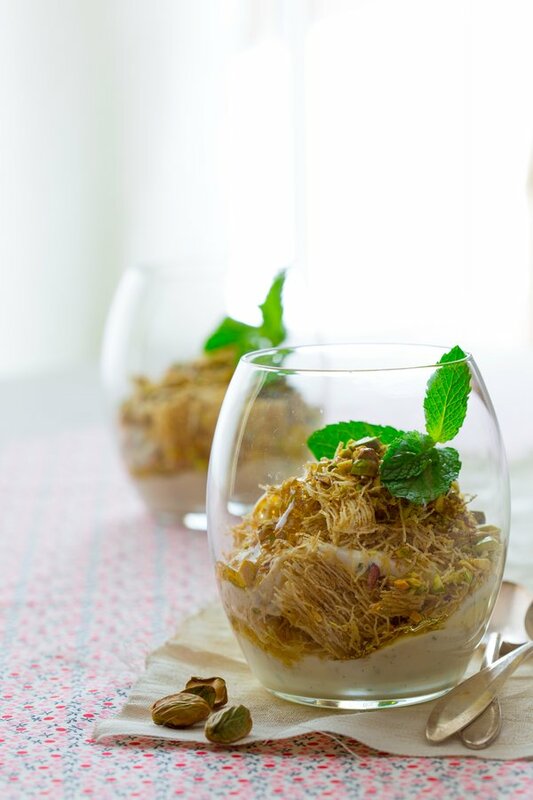 Once you’re ready to prepare your breakfast parfait, you can begin by whisking your yogurt and mint in a small bowl. Then place your shredded wheat cereal in a plastic bag and seal it up tight. Go ahead and pound the cereal into small chunks (we suggest using the smooth side of a meat mallet, a heavy skillet or a rolling pin), then layer the cereal, yogurt, pistachios and honey into two separate glasses. You can layer the parfaits in any particular order you wish, but we suggest ending with a light layer of yogurt that you’ve topped off with a sprig or two of mint. Searching for another unique breakfast recipe? We’re positive that you’ll love this recipe for a high protein chocolate raspberry smoothie. Like our parfait recipe, it’s light and tasty, but since it features a nice helping of protein, it’ll help to keep you feeling full throughout the day. 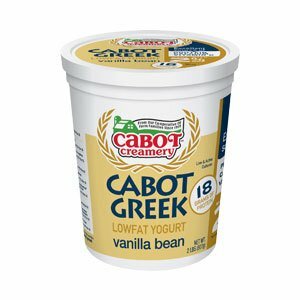 Cabot is a cooperative of 800 farm families, and we take a great deal of pride in only using high quality ingredients to make our award-winning dairy products. We’re positive you and your family will love our breakfast parfait recipe, but we want to make sure that it’s up to our high standards. After making it, please go ahead and rate and review it. WHISK yogurt and chopped mint in a small bowl. PLACE shredded wheat in a re-sealable plastic bag and seal shut. Pound cereal with the smooth side of a meat mallet, heavy skillet or rolling pin until broken into small chunks. LAYER yogurt mixture, cereal, pistachios and honey into two glasses and garnish with mint sprigs.